This small waterfall is tucked away along a trail in Dupont State Forest of Western North Carolina, close to the town of Brevard. 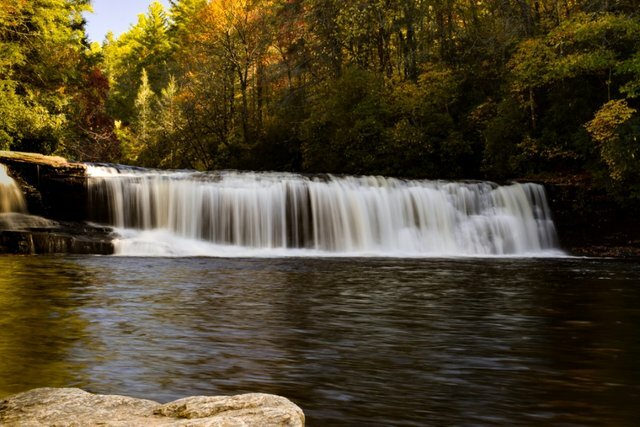 It is also a popular swimming spot for people exploring the falls and trails of the forest. @vadimvinnichuk It sure is, a world tucked away!